Automakers incorporate new technologies into their cars, and it takes time on some new models for the auto manufacturers to work out some of the “bugs” from their newly-remodeled cars. There’s three new-generation cars that CR says have “major growing pains.” They are the 2017 Buick LaCross, GMC Acadia and Subaru Impreza. Consumer Reports says these three updated cars saw “especially big drops” in their reported reliability rating when compared with the previous model year. GMC Acadia: CR says the main complaints from owners targeted the infotainment system, which “is plagued by blank screens, a glitchy rearview camera, and an in-dash navigation system that goes kaput.” The new Acadia keeps its six-speed automatic transmission, but some owners complained about rough shifting. Here’s Consumer Reports complete list of “No-Longer-Recommended Models With Declining Reliability.” They are the Acura MDX, Buick LaCrosse, Cadillac CT6, Cadillac XTS, Chevrolet Camaro, Chevrolet Corvette, Chevrolet Cruze, Chevrolet Equinox, Chrysler 300, GMC Acadia, Hyundai Tucson, Mazda CX-9, Mazda MX-5 Miata, Mercedes-Benz GLC, Nissan Maxima, Porsche Cayenne, Subaru Impreza. 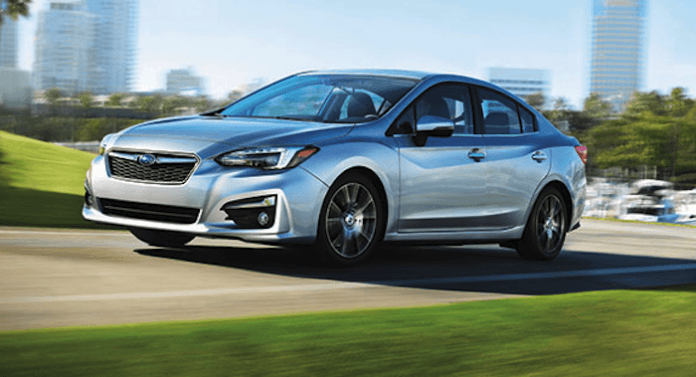 Keep in mind, all three of these new-generation models are already in their second year of production like the 2018 Subaru Impreza compact sedan and 5-Door. Many models have received updates from the automakers to fix these issues.